Clubs and extracurricular activities play a large role in the Friends Experience as in they help give our students the opportunity to discover their gifts, nurture their passions, and develop life skills. 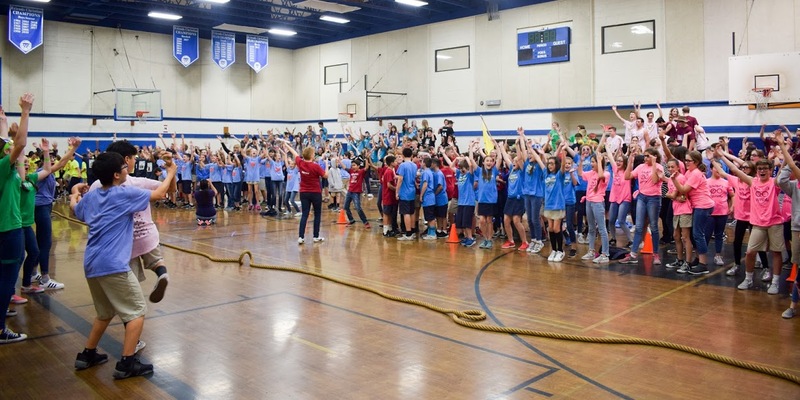 Additionally, throughout the school year, FCS hosts a variety of celebrations for students including Spirit Week (and Spirit Wear Dress on Fridays), Extreme Games, Lunch Games, Special Dress Days, and more! Beginning in fourth grade and continuing through Middle School, students participate in student government either by seeking elective representative positions or voting for peers who do. Middle School students elected to the Associated Student Body (ASB) also attend a Leadership Conference sponsored by the Association of Christian Schools International (ACSI). Friends Christian Middle School students have the opportunity to join Lions News, the schools online newspaper. Students learn camera and video techniques along with the basics of editing software. Additionally, students are sent out to cover topics surrounding campus life from interviews, sports highlights and entertainment to personal interest stories and event recaps, Lions News is a great opportunity for students interested in content creation and website design. For more information and to see its past work, please visit: www.fcslionsnews.com. Friends Christian School is proud to offer the opportunity for students to participate in the FIRST LEGO League robotics program. FIRST® LEGO® League (FLL) is a program that introduces children to science and technology in a sporty atmosphere. The basis of FLL is a robotics tournament in a cheerful atmosphere, where kids and youngsters work to solve a tricky mission with the help of a robot. The kids research a given topic within a team; they plan, program and test an autonomous robot to solve the mission. The FLL Teams take the opportunity to experience all steps of a real product development process—solving a problem under time pressure with insufficient resources and unknown competitors.